NEW ORLEANS (Hypebot) – Brands will spend $1.28 billion in 2013 to sponsor music venues, festivals and tours in North America, a 5.4% increase from 2012, according to IEG Research. That increase puts music on par with the projected 5.5% increase in overall sponsorship spending and leads the 5.1% for the whole entertainment category. Beer, bank and spirits are the most active non-media categories sponsoring music festivals, according to IEG with Anheuser-Busch the most active company in terms of number of deals. 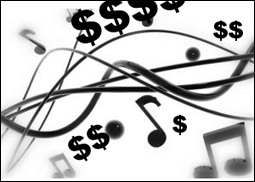 Brands using music to support customer loyalty programs is a growing trend. Citibank is leveraging the Rolling Stones by offering presale tickets for Citi Private Pass members, while Starwood Hotels is paired with Live Nation to offer one-of-a-kind experiences for its Starwood Preferred Guest Loyalty members.